The loss of a loved one is always a trying time, and it becomes even more stressful if the insurance company refuses to pay life insurance benefits. 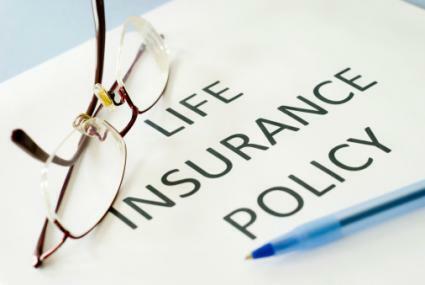 Fortunately there are some measures that beneficiaries can take to dispute life insurance claim denials. A material misrepresentation is false or misleading information on an application. An omission of an important fact may also be considered a material misrepresentation. When a life insurance claim is denied, the insurance company may state that if all the facts about the insured were known at the time of the application, the policy would not have been issued. From the point-of-view of the insurer, even if the misstatement or the omission had nothing to do with the individual's death, the claim will not be paid if the application is incomplete or inaccurate. Sometimes a denial is straightforward; some part of the contractual agreement between insured and insurer was not upheld, rendering the contract void. In other cases, the facts of the case can be disputed. If you feel that a claim was denied in error, there are a few steps you can take. Speak with someone at the insurance company about why the claim was denied. Ask for specifics, and get clarification on any parts that confuse you. Request a certified copy of the policy so that you can study it for yourself. Review the section(s) being used as justification for the denial. If, after reviewing the policy, you still feel that the denial was made in error, it's time to start building your case. Gather as much of your paperwork as you can, including the policy, receipts for payments, medical records, death certificates and any correspondence from the insurance company. You may not need all of this information, but having it available may prove helpful down the line. Consult with an attorney. Insurance companies can be difficult to deal with, and the laws surrounding claims are complex. It's a good idea to present your case to an attorney so that you can review your options and see what your best course of action will be. The attorney can also advise you on how to proceed with the dispute and whether you may need to take the case to court. Submit a claim dispute form to the insurance company, along with any supporting information you've gathered. If you have an attorney, he or she may want to do this on your behalf. Once your form has been submitted, the insurance company will begin investigating. When a decision is made, you should be contacted with a full explanation and justification for the choice. Depending on the situation, you may need to take the insurance company to court in order to reach a resolution. Submitting the correct information after the insured's death will help move the process along and reduce your chance of running into problems. Failure to submit the appropriate documentation may lead to a claim being denied. The insurance company will need a claim form, along with an official copy of the death certificate. The death certificate provided by a funeral director is often not sufficient for this purpose. The insurance company will want to rule out suicide as a cause of death. This is because many insurance policies have a clause stating that a benefit will not be paid if the person committed suicide. The policy may, however, specify that the beneficiary can receive a refund of the premiums paid to the date of death in that situation. Because insurance law can be complex, it's always a good idea to have a qualified and experienced attorney on your side before dealing with the insurance company. The dispute may go to court or be settled privately, and an attorney can help with either situation. Your attorney can also help you present the best case for your dispute and improve your chances of the denial being overturned.